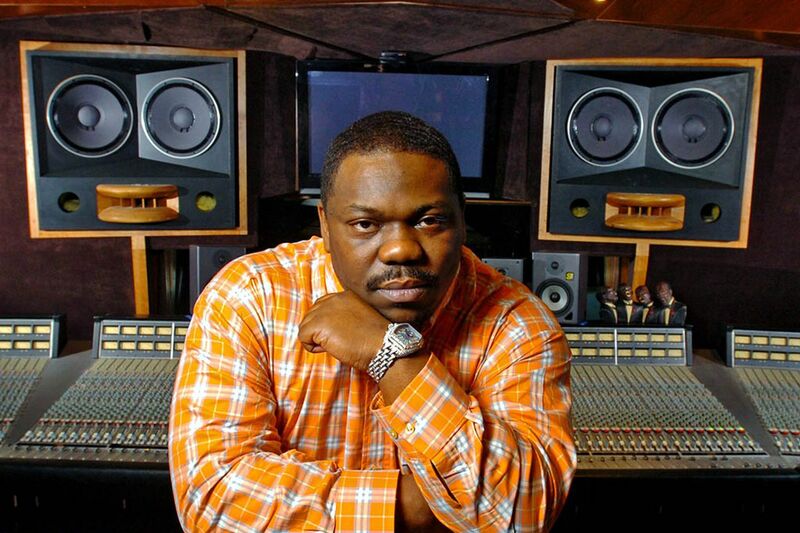 The bullet that struck the Philadelphia rapper Beanie Sigel last week in Pleasantville, N.J., might have come from one or two vehicles whose occupants fired at the home of Sigel's brother-in-law, Pleasantville police said Tuesday afternoon. Sigel, who lived in the house, remains in critical but stable condition at AtlantiCare Regional Medical Center in Atlantic City. He has been awake at times but is breathing with the aid of a tube and ventilator and is unable to speak to investigators, Lt. Danny Adcock said. Sigel was an unintended victim of the shooting, Adcock said. A bullet struck the rapper in the abdomen and exited his back. Police found him in the finished basement of his brother-in-law's house. "He may have become involved in something that was not necessarily his own doing," Adcock said. "Just wrong place, wrong time, if you will." Umar Salahuddin, 22, Sigel's brother-in-law, is not a suspect in the shooting, but police are looking at his involvement in the incident, Adcock said. Salahuddin has run into trouble in the past. In June 2010, he was charged with illegally possessing a .357-caliber revolver with five bullets, according to court records. This year, he was charged with drug possession. After the shooting Friday, which occurred before 10 a.m. in the 800 block of Spruce Avenue, officers found Salahuddin with scrapes and bruises to his face and arms, Adcock said. Salahuddin has since refused to cooperate with detectives, according to police. "Because of his lack of cooperation, we're not sure how he received those," Adcock said. Police are also still investigating who was fighting whom when the gunshots erupted. "We do have some leads we're following up on," Adcock said, "but cooperation from the family is minimal." Sigel had dropped off his children at an elementary school before the shooting, Adcock said. Before moving to Salahuddin's home, Sigel had served more than a year in a federal prison in Pennsylvania for tax evasion. At the time of the shooting, Sigel was still on home confinement, which was scheduled to end the following day.